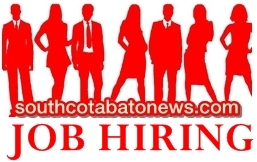 Job Offered: Now Hiring Social Networkers in South Cotabato! Do you like social networking on sites like Facebook and Twitter? Then here is your chance to get paid for doing it. Start earning (with travel incentives ) while enjoying Facebook and Twitter!